Jonathan* is a lawyer at Lenczner Slaght. He is a graduate of Osgoode Hall Law School where he was the recipient of multiple academic awards. As a writer and theatre professional, he understands that every client has a unique and compelling story and that an effective advocate controls§ how the story unfolds in any legal dispute. Jonathan brought his passion and prior career experiences to law school where, as an avid mooter and member of the Osgoode Test Case Litigation Project, he honed his skills in written and oral advocacy to craft the narrative‡ of each case to achieve the best results for his clients. .
is a lawyer at Lenczner Slaght. As a summer and articling student at the firm, Jonathan gained experience through commercial and professional liability matters and continues to build a developing practice in a range of areas. Jonathan graduated from Osgoode Hall Law School, where he worked as a research assistant to multiple professors and as a Dean’s Fellow for the Constitutional and Public Law course. 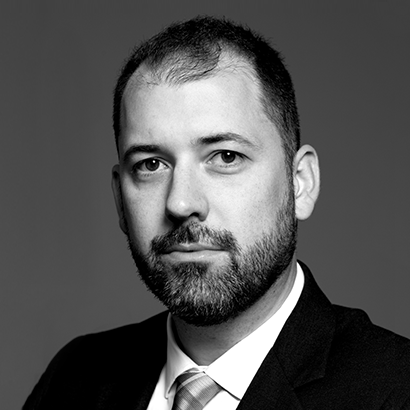 During his three years at Osgoode, Jonathan worked extensively for Professor Alan N. Young and the Innocence Project researching complex criminal, constitutional, and administrative law matters and drafting documents for various levels of courts. He also took part in the Osgoode Hall Test-Case Litigation Project where he assisted on a constitutional challenge to police use of fatal force. Jonathan served as an Associate Editor of the Osgoode Hall Law Journal and mooted extensively, competing in the Cassels Brock Cup Criminal Law Moot and the Lenczner Slaght/CBA Gale Cup. He was awarded the Criminal Procedure Prize for achieving the highest academic standing in Criminal Procedure and the Faisal Mirza Criminal Law Writing Prize. Prior to attending law school, Jonathan studied theatre and classical studies at Queen’s University where he was awarded the Edythe Zacks Millman Prize in the Performing Arts. Counsel to a land developer and home builder in connection with a dispute relating to a large residential community development. Canada’s leading litigation firm continues to add to its collective experience and knowledge with the addition of five talented associates. Lenczner Slaght is delighted to welcome Derek Knoke, Graham Henry, Jonathan D. Langley, Sean Lewis, and Zachary Rosen to the firm as our new associates. On February 7, 2018, our lawyers participated in the Covenant House Guts + Glory Obstacle Challenge and fundraised over $17,000 which will go to providing health care, food, shelter, and clean clothes to at-risk, homeless and trafficked youth.